Our new webshop is coming soon at wigwamtoys.co.uk. Come and visit our online shop. 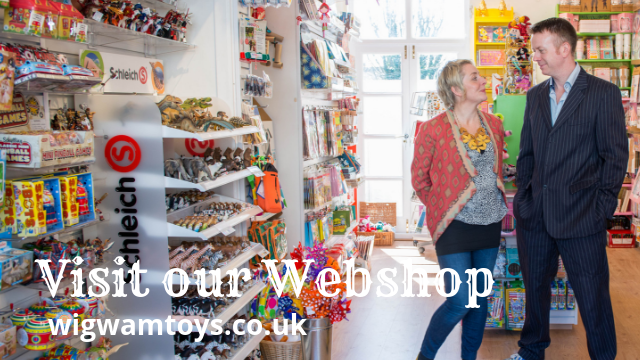 Wigwam Toys is an independent, family run toy shop in Brighton selling good quality, design-led and distinctive toys that appeal to girls, boys and their parents. As well as toys, we have a great range of puzzles, games and activity sets, including science and discovery kits from Great Gizmos, Jellycats, Brio, Lottie Dolls and much more.